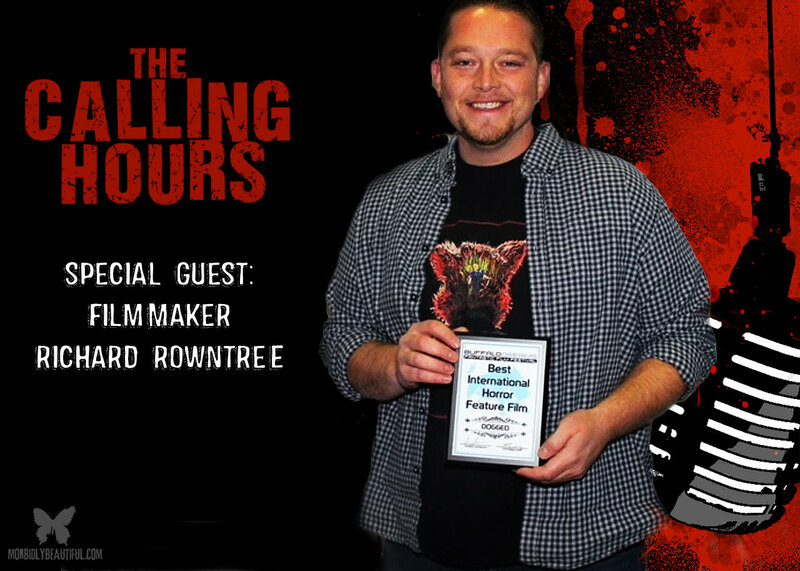 As our special guest this evening, we will have Director / Producer / Writer / Actor and fellow Morbidly Beautiful contributor Richard Rowntree. Richard graduated with honors from the University of Kent in Canterbury with a degree in Film Studies. Living and working all around the world (Holland, France, Canada, Las Vegas and Los Angeles) between 2006 and 2009, he completed work on a number of award winning, low to medium budget features, including several as an associate producer. Since 2014, he has written, produced and directed 6 award winning short films, which have screened at festivals around the world. Richard’s debut feature film, DOGGED, is an award-winning psychological thriller that became the 4th most successful UK based horror feature film to receive funding from Kickstarter on March 24, 2016 . The feature was based on the critically acclaimed short film of the same name. (Click here to read our review of this remarkable film). 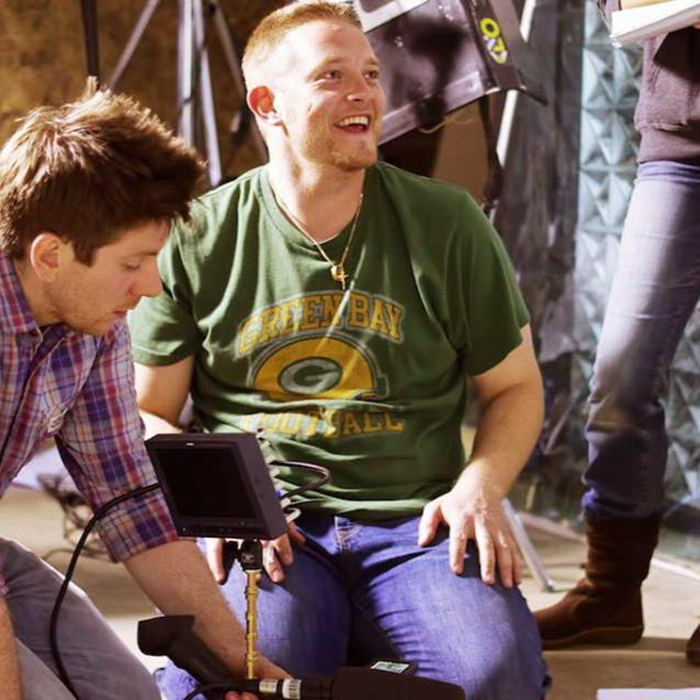 He is currently crowdfunding his second film, NEFARIOUS, and you can head here to learn more about how you can get involved in bringing that project to life. In our Digital Dismemberment Spotlight this evening, we will be covering Scream Factory’s Blu-Ray release of Dark Angel (re-titled I Come in Peace for its US release). It’s a 1990 science fiction action film directed by Craig R. Baxley and starring Dolph Lundgren, Brian Benben, Betsy Brantley, and Matthias Hues. It’s about a rule-breaking vice cop who becomes involved in the investigation of mysterious drug-related murders on the streets of Houston, Texas. We will also be covering the Scream Factory Blu-Ray release of the Psycho 3, the 1986 romantic slasher film that takes place one month after the events of Psycho 2. Norman Bates is still running the Bates Motel with the corpse of Emma Spool still sitting up in the house. A suicidal nun, with whom Norman falls in love, comes to the motel along with a drifter named Duane Duke and a reporter who is trying to solve the mysterious disappearance of Mrs. Spool. It stars Anthony Perkins, who also directed the film, reprising the role of Norman Bates. The film was a financial failure, becoming the lowest grossing film in the Psycho series. We will be hearing from 3 bands in out Metal Massacre Spotlight this evening, including the bands Necrophobic, Ultar and Darkmoon Warrior! Tune in to Morbidly Beautiful every Tuesday at 8 pm EST for new episodes of The Calling Hours Podcast. You can also listen to the syndicated rebroadcast on MileHiRadio every Friday night at 10 pm EST/7 pm PST. You can also click here to listen to archived episodes of the show.